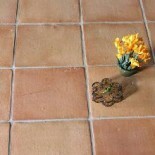 Are you trawling the internet and shops looking to find the right terracotta tiles? It can be a daunting task trying to buy the best quality terracotta from the masses of imported cheap terracotta that are nearly all claiming to be “100% handmade”. We at Living Terracotta are the only UK company dedicated to supplying only the finest terracotta tiles available, we source all our terracotta from Spain where they are known to be the world market leaders and have been producing the highest quality terracotta tiles for centuries. We have terracotta tiles from Our handmade terracotta range tiles that are made using methods unchanged for 2000 plus years to the most technically advanced terracotta for the most demanding projects. Thank you so much for the helpful tips and information! It helped with my search for tile in Calgary . This entry was posted on October 2, 2013 by Living Terracotta in General info and tagged handmade terracotta, handmade terracotta tiles, How to terracotta, tell handmade terracotta, Terracotta tiles.